The water you drink is decontaminated and filtered to make it safe to drink. But drinking water still contains minerals, also referred to as ions, such as sodium, magnesium and iron. Deionizing the water takes out these minerals to create a more pure water. While there are uses for deionized water, removing the minerals is not always best. Although water is not a significant source of calcium and magnesium, it does help contribute to your daily needs. Drinking deionized water limits your intake of these essential nutrients. Both magnesium and calcium are important for bone health. In addition to supporting bone health, the calcium and magnesium in water may also be good for your heart. The World Health Organization reports that water with low levels of magnesium is associated with higher rates of heart disease. Minerals in water add taste. WHO notes that people often don't like the taste of deionized water when they first drink it. 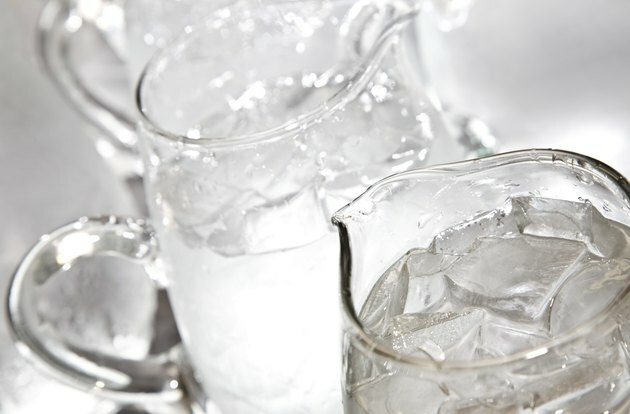 While your taste buds may adjust to the tasteless water over time, you may seek out other beverages in the interim, says WHO, which may include less health-promoting choices such as soda. Additionally, WHO reports that deionized water is not as thirst-quenching as water with minerals. If you get your deionized water from the tap, you may be at risk of toxic metal contamination. Deionized water is more susceptible to attracting the metals found in your plumbing than mineralized water because it is a less stable form of water. The calcium and magnesium in regular water may help prevent the accumulation of toxic substances in your drinking water by stabilizing the water and acting as antitoxic substances. While there may be some concerns on how deionized water affects your health, the mineral-free water has its purpose that may indirectly benefit your health. Water is used as base for testing air quality. If the water used to test the air contained minerals, you would not get an accurate reading of what's in the air. It's also used to test soil quality for farmers, which may affect the nutrients found in the foods grown on the farm. University of Illinois at Urbana-Champaign: What Is Deionized Water?